In The First Christmas, two of today's top Jesus scholars, Marcus J. Borg and John Dominic Crossan, join forces to show how history has biased our reading of the nativity story as it appears in the gospels of Matthew and Luke. Borg and Crossan help us to see this well-known narrative afresh by answering the question, "What do these stories mean?" in the context of both the first century and the 21st century. They successfully show that the Christmas story, read in its original context, is far richer and more challenging than people imagine. The Lord's Prayer is an indisputable principle of Christian faith. It is the way Jesus taught his followers to pray and distills the most essential beliefs required of every one of the world's 2.5 billion Christians. In The Greatest Prayer, our foremost Jesus scholar explores this foundational prayer line by line for the richest and fullest understanding of a prayer every Christian knows by heart. An expert on the historical Jesus, Crossan provides just the right amount of history, scholarship, and detail for us to rediscover why this seemingly simple prayer sparked a revolution. Pastors David Felten and Jeff Procter-Murphy, along with an all-star cast of Bible scholars and top church teachers, provide a primer to a church movement that encourages every Christian to "live the questions" instead of "forcing the answers". 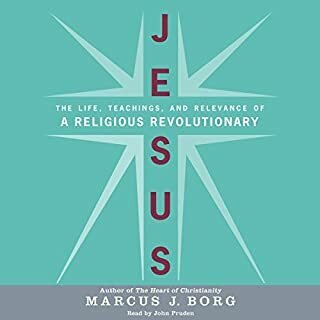 World-renowned Jesus scholar Marcus J. Borg shows how we can live passionately as Christians in today's world by practicing the vital elements of Christian faith. 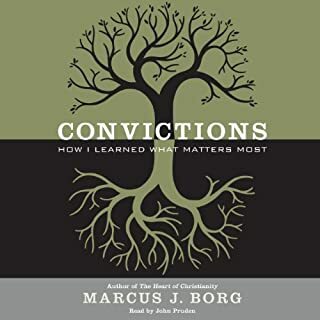 For the millions of people who have turned away from many traditional beliefs about God, Jesus, and the Bible, but still long for a relevant, nourishing faith, Borg shows why the Christian life can remain a transforming relationship with God. Emphasizing the critical role of daily practice in living the Christian life, he explores how prayer, worship, Sabbath, pilgrimage, and more can be experienced as authentically life-giving practices. Borg reclaims terms and ideas once thought to be the sole province of evangelicals and fundamentalists: he shows that terms such as "born again" have real meaning for all Christians; that the "Kingdom of God" is not a bulwark against secularism but is a means of transforming society into a world that values justice and love; and that the Christian life is essentially about opening one's heart to God and to others. This is another example of a book I had on my shelves for years but might never have read if Audible hadn't featured it in a sale. I listened to it in two sessions: It's very accessible, yet very rich, and still holds up 8 years after initial publication. It would be well worth a full credit. Borg synthesizes other, more in-depth work (which made for more dense listening/reading) into a more pastoral format. "Heart" for him is what is most central and alive, the driving force deeper than intellect -- It gives Christianity transformative power. And it's so good to hear a Jesus Seminar scholar who still speaks so positively about mainline Christianity, one that satisfies both "head and heart." 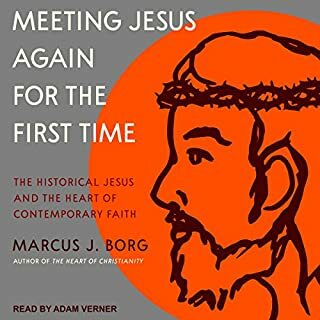 Borg makes a case for emerging Christianity (Did he coin the term in this book? ), but he does not denigrate anyone who does not agree with all or any of his views - His is a very respectful, welcoming stance, so I think the listen could appeal even to traditionalists who just want to understand the "other" paradigm for being Christian today. The open hands on the book cover are a perfect illustration of the content. 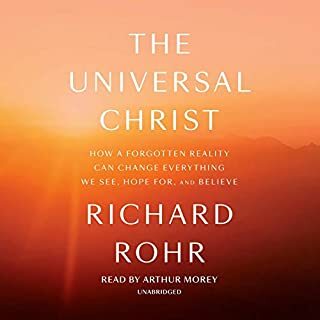 The narration is better than most similar nonfiction-- Narrators seem to be challenged in finding the right note in books on spirituality, but this one is easy on the ears. What made the experience of listening to The Heart of Christianity the most enjoyable? I always feel with Borg that I am being introduced to what I believe all over again. What other book might you compare The Heart of Christianity to and why? I liked Cahill's Desire of the Everlasting Hills, but Borg is even better. In fact, I would recommend both, Cahill first. Which character – as performed by John Pruden – was your favorite? Nonfiction books don't have main characters. More thrilling and honest than Dan Brown's works. Believer and nonbeliever will find this book enlightening. Faith without sacrificing intelligence. Beautiful. 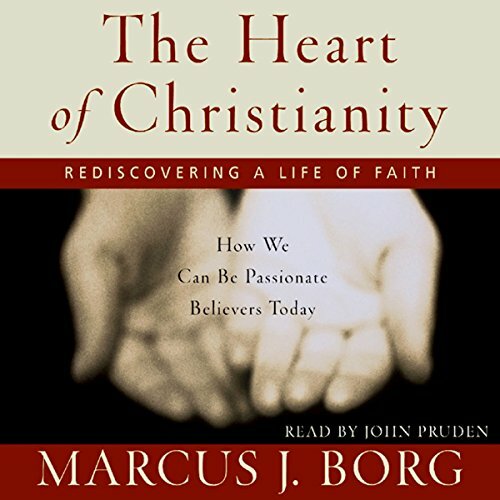 Where does The Heart of Christianity rank among all the audiobooks you’ve listened to so far? Its different from my usual listens... I tend towards fiction. It certainly had a greater effect on me than any other book I have listened to. What does John Pruden bring to the story that you wouldn’t experience if you just read the book? He has a clear, easy to listen to voice. He read at the perfect pace for this type of work. The entire book was inspiring. It deals with the new, more inclusive paradigm that is emerging in many churches. This book made me comfortable with the idea of organized religion again. I was looking forward to this book, as someone who once believed in the kind of "traditional" literalist Christianity, but who no longer finds that approach meaningful. Mr. Borg does a good job of explaining how we can understand the concepts that trip up many of us. His historical and philosophical explanations were convincing, and I could agree with things up to a point. But his personal faith and his experience of God/the Other/ the More . . . didn't compel me to want to experience this with others in a social situation. On some level I must have expected that this discussion might 'bring me back to the fold'. Instead, I felt more like I was confirmed that I could lead just as meaningful and satisfying a life outside of any organized religion or belief in a transcendent factor. I'll read more books from the Jesus Seminar, since I've listened to John Dominic Crossain and John Shelby Spong speak and enjoyed their perspectives. I might listen to this book again in the future if I want to go further with his thoughts. This book really challenged my thinking on all things Christian whisk is always good.while I am not sure I agree with all his premises they made for very interesting discussions in my church book study group. tremendous insight is provided into religion in understanding Christianity in relationship two other religions. The book is not easy reading edit times I became frustrated to keep all of the information linked as I think the author intended. I think this book will be a specially useful to those who struggle with placing their individual religious experience in relationship two other religions. I personally loved it. As a seeker of the "more", I loved this book. Made me feel comfortable to call myself christian. As a scientist I can't recommend this book enough for people who want to rediscover their faith. 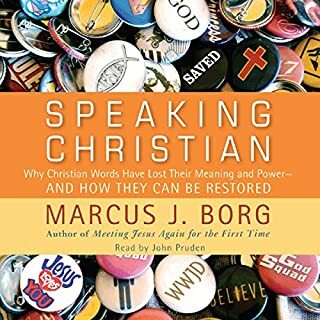 Borg successfully defines what true, stripped-down Christianity is within the context of its history. 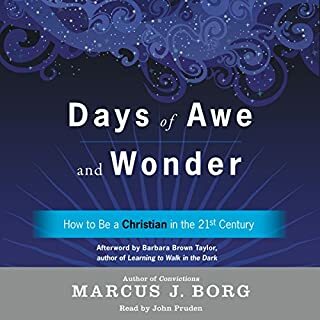 Borg describes a Christianity that those who embrace a diverse and challenging world can be proud of, but that doesn't water-down the type of transformation Christianity makes available to us. On the bad side: So the Bible and the word of "God" are open to interpretation and subject to, what he refers to as, paradigms? Is he honestly saying that belief and the meaning of Christianity are influenced by the zeitgeist of any given age?! Because if that is the message I really don't think that it paints Christianity in a good light. If nothing else it makes it way too pliable and wishy-washy. To be fair I haven't finished the whole book yet but so far all he's done is try to 'square the circle' by constantly trying to bend Christianity fit in with what we know to be true and/or believable. Try as he might he simply can't make a square peg in a round hole. I will hammer away at it because I hate putting a book down but this one has made me do so out of pure frustration. I feel like I'm wasting my time reading it. His arguments are weak and justifications and apologies for Christianity tend to make a strong case for Humanism rather than proselytise for his faith. There'll be no rediscovering here today I'm afraid. A brilliant book that allows both your mind and heart to be part of your Christian faith. If you desire to grow past a Sunday school faith this is the book for you.